Due to the “sequester”, the White House has decided to cancel the Jewish History Month reception. The White House will not hold a Jewish History Month event this year because of the sequester. A White House official confirmed to JTA that the reception, which usually takes place toward the end of May, would not take place this year because of the congressionally mandated across-the-board budget cuts that kicked in last month. Congress passed legislation creating Jewish American Heritage Month in 2006, and President Obama hosted the first reception commemorating the month in 2010. Jewish invitees usually include luminaries in the arts, sports and sciences, lawmakers, armed services personnel and the Israeli ambassador, as well as organizational leaders and political supporters of the president. 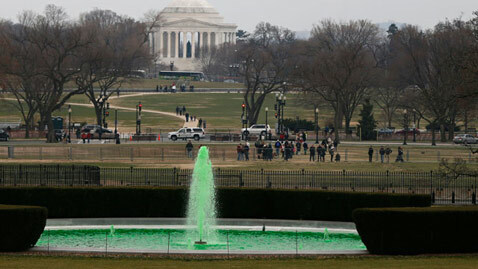 The celebration of St. Patrick’s Day last month included an East Room bash with hundreds of guests and a separate breakfast party at the vice president’s residence. Tuesday, the Obamas took in an exclusive viewing in the White House theater of the movie “42,” which chronicles the life of Jackie Robinson, with the film’s cast and crew. Earlier, in the day, Michelle hosted a “42 Film Workshop” for kids in the State Dining Room that featured Harrison Ford. Obama even got in a reception for the Stanley Cup Champion Los Angeles Kings and major league soccer champs LA Galaxy on March 26. And there’s money around to transport him to the golf links, where he traveled by motorcade last weekend. Next Tuesday, the Obamas will be treated to a command East Room performance “celebrating” Memphis soul music, with performances by stars like Justin Timberlake and Queen Latifah.